It is raining today so it is the perfect day to spend creating in my stamp room. I needed a quick card to mail to a friend in the morning. The hostess level 3 stamp set was perfect to use. 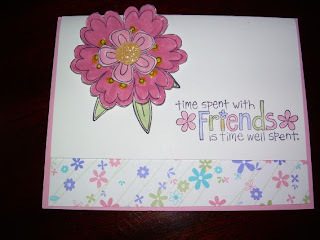 Along with Stampin' Up "Flowers for You" double sided card stock I was able to create the card very quickly. 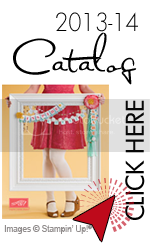 This Time Well Spent can be yours when you hostess a workshop at your home. With $500.00 in sales you can choose this set along with $60.00 in other merchandise from the catalog. Turn to page 18 in the catalog to see the benefits of hostessing. Just contact me to pick your date.